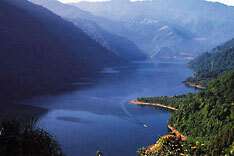 Sun Moon Lake in Nantou County is the largest body of water in Taiwan. Destination Taiwan, officially the Republic of China (ROC), a largely mountainous island nation in East Asia, formerly known as Formosa. Taiwan is located north of the Philippines and the South China Sea, about 180 km off the southeastern coast of China, separated from the mainland by the Taiwan Strait. The island shares maritime borders with China, Japan, and the Philippines. With an area of 36,188 km² Taiwan is slightly larger than Belgium or slightly smaller than the U.S. states of Maryland and Delaware combined. The ROC has a population of 23.5 million (in 2015), making it one of the most populated countries in the world; capital city is Taipei, largest city is New Taipei City or Xinbei, an urban agglomeration with 4 million people that surrounds the capital. In 1895, military defeat forced China to cede Taiwan to Japan, however it reverted to Chinese control after World War II. Following the communist victory on the mainland in 1949, 2 million Nationalists fled to Taiwan and established a government using the 1947 constitution drawn up for all of China. Over the next five decades, the ruling authorities gradually democratized and incorporated the native population within its governing structure. Throughout this period, the island has prospered to become one of East Asia's economic "Tigers." The dominant political issue continues to be the relationship between Taiwan and China and the question of eventual reunification. According to U.S. State Department, the United States and Taiwan enjoy a robust unofficial relationship. The 1979 U.S.-P.R.C. Joint Communique switched diplomatic recognition from Taipei to Beijing. The United States does not support Taiwan independence, but 'the 1979 Taiwan Relations Act provides the legal basis for the unofficial relationship between the United States and Taiwan, and enshrines the U.S. commitment to assist Taiwan in maintaining its defensive capability'. Other Cities: Kaohsiung (pop. 1.5 million). Constitution: 25 December 1946; last amended 2000. Location: Eastern Asia, islands southeastern of the coast of China. Taiwan is the second most densely populated area in the world. Ethnic groups: Taiwanese (including Hakka) 84%, mainland Chinese 14%, aborigine 2%. Religions: mixture of Buddhist, Confucian, and Taoist 93%, Christian 4.5%. Languages: Putonghua (Mandarin Chinese, official), Holo Taiwanese, Hakka (spoken by the Hakka minority group), other indigenous languages (Formosan). Agriculture products: Rice, corn, vegetables, fruit, tea; pigs, poultry, beef, milk, fish. Industries: Electronics, petroleum refining, chemicals, textiles, iron and steel, machinery, cement, food processing. Taiwan Presidential Office Building in Taipei, seen from Ketagalan Boulevard. The building houses the Office of the President of Taiwan. Official website of the Republic of China with comprehensive Taiwan facts and figures. ROC President Office Home Page. Official Web Site of the Ministry of Foreign Affairs. Taipei Economic and Cultural Office in New York. 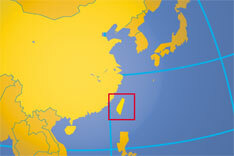 Searchable map/satellite view of Taiwan. Searchable map/satellite view of Taiwan's capital city. Political Map of mainland China's Administrative Divisions. Taiwan's Central Weather Bureau Web Site. The media environment in Taiwan is among the freest in Asia. Laws which prohibit the promotion of independence from China or communism are not generally enforced. According to RSF, the main threat to media freedom comes from China, which has been exerting growing economic and political pressure on the Taiwanese media. CNA - Taiwan's national news Agency. Commercial advertising and broadcasting services. Commercial TV broadcasts from Taiwan. Non-profit terrestrial broadcaster echoing the island's staggering diversity (partly in English). official site of Taiwan culture affairs. 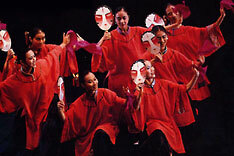 Performing arts groups in Taiwan. Southern Taiwan museum for fine arts. 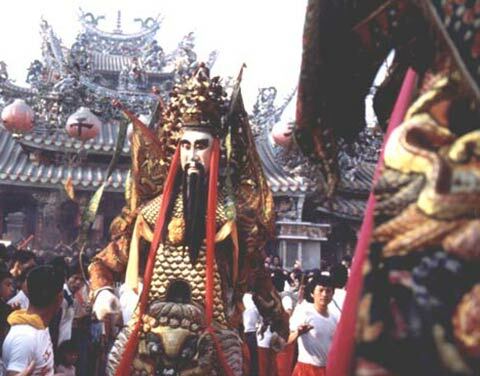 Traditional Chinese Performing Arts in Taiwan. A Review on the The Taiwan Art Scene by Roger McClanahan. NPM in Taipei presents the foremost collections of Chinese art and objects in the world. In 1923, Dr. Sun Yat-sen, National Father of the Republic of China, promoted the establishment of the Central Bank of China (the Bank) with the primary goal of financing national developments. Official website of Taiwan Stock Exchange Corporation. An agency of the Ministry of Economic Affairs. [email protected] - a gateway to trade with Taiwan. A guide to Taiwan's tradeshows. destinations of 23 countries in 4 continent. EVA Air is part of the Evergreen Marine Corporation, EVA Air serves more than 40 destinations in Asia, Australia, New Zealand, Europe and North America. Far Eastern Air Transport is the first private air transport company completely run by Taiwan people. Operates on domestic and international routes. By far Taiwan's most busiest international airport. Official site of Taiwan's Railway. Coast near Sioulin township, Hualien county, Taiwan. Taiwan Tourism Information by the Ministry of Transportation and Communications. About Dapeng Bay situated in the southwest coast. About Maolin, situated in southeast Kaohsiung County. More about Taiwan's Southwest Coast, the coastline along the three counties of Yunlin, Chiayi, and Tainan. 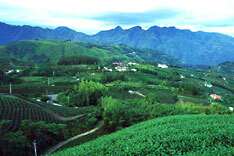 Scenic East Rift Valley situated at Hualien and Taitung counties. 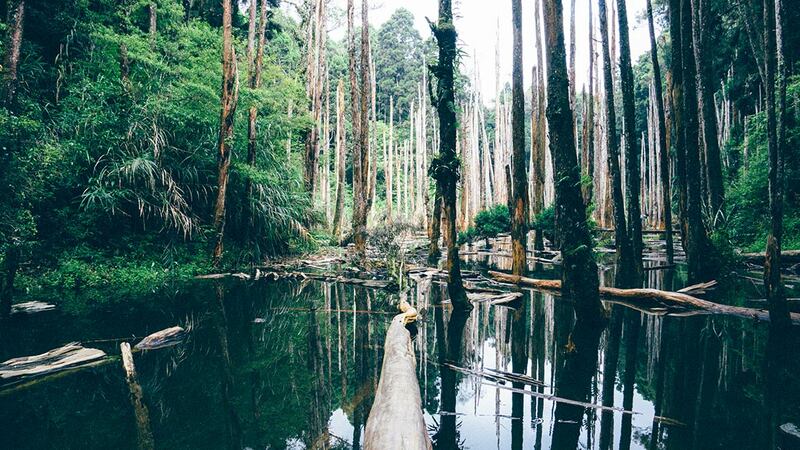 A travel and tourism guide to Alishan, one of Taiwan's National Parks. 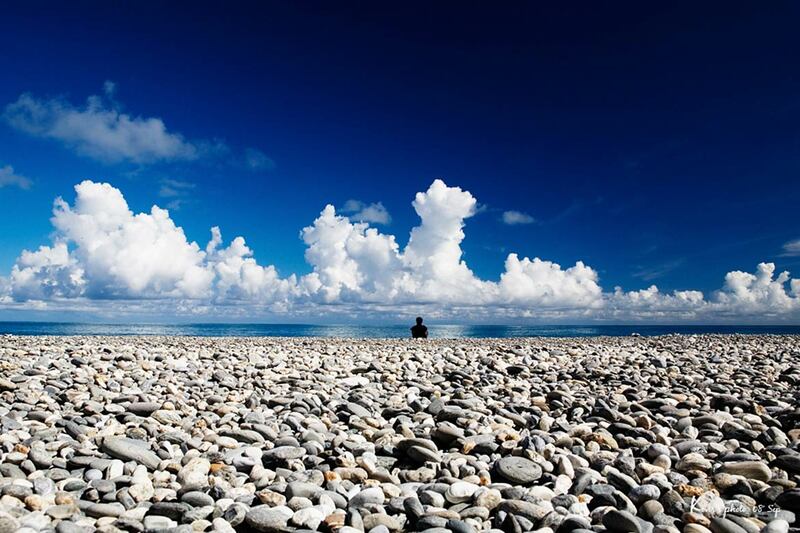 About the east coast of Taiwan between Hualien and Taitung. Scenic Sun Moon Lake where water and sand meet. 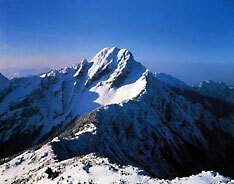 Information about the three scenic areas: Lion's Head Mountain, Lishan, and Baguashan, in northern and central Taiwan. More about Taiwan's NE coast. More about Taiwan's North Coast Scenic Area. A Window on Taiwan, online magazine. Official site of the Municipality of Taipei. 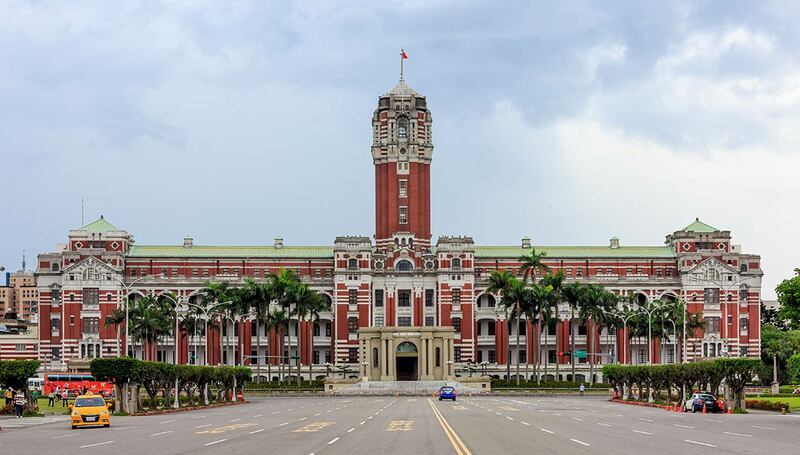 Official site of Kaohsiung City Government. The latest edition of “The Handy Guide for Foreigners in Taiwan” is now out in both Chinese and English! Free downloads are available. 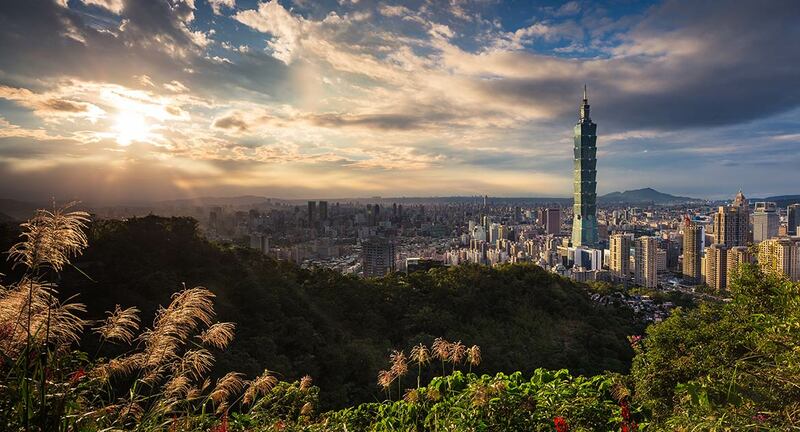 Taipei City with Taipei 101, the supertall skyscraper in Xinyi District is the most famous landmark in Taiwan's capital. The EPA was founded with the mission of protecting and improving the environment. The Official website provides information about the work and the function of the research institute. Government agency for nature conservation in Taiwan. Article analyzes the main environmental challenges Taiwan is facing. It's complicated, article about the historical relations between China and Taiwan. Woodcuts, sketches and etchings concerning Taiwan. With information on Taiwan's History. A virtual walk through the history of Taiwan. Timeline of Chinese Imperial and Modern Dynasties. The UK newspaper's articles regarding the Taiwan/China relations. Taiwan Documents Project was established in 1999 to provide researchers and other interested persons a comprehensive source of primary material relating to the dispute over Taiwan. Designed to provide an unbiased, reliable English-language source of up-to-date information relating to Taiwan's security situation.